The world is getting smaller and smaller. News shoots around the globe at an alarming pace, international travel is a regular occurrence and the internet facilitates a continual online cultural crossover on everything from fashion to music to medicine. 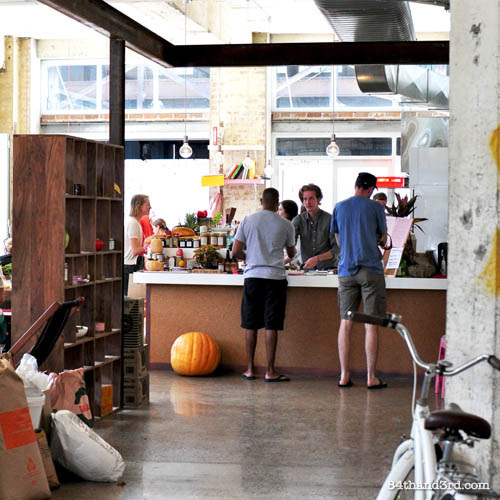 So why is it that food trends seem to take an enormous amount of time to reach Australia? Are we playing catchup, is everyone waiting to see how it goes elsewhere, or are we all simply too busy eating seafood on the harbour? The end of year wrap ups and new year prediction articles are out in force right now, and if you can’t beat’em you may as well join’em, right? Right. I’ve been voicing my views in person and across twitter for weeks, so it’s high time I share my themes and predictions here with all of you. 2012 was the year of the food truck in Sydney, finally. However there is every possibility this brilliant explosion of moveable feasts was delayed as long as it was due to city bureaucracy rather than a lack of awareness and desire. In cities across the US, trucks are driving trends because they are nimble and perfect for immediate consumer feedback. Hopefully Sydney will support this and make it easier for all of us to get our hands on the goodies. Prediction: Food trucks will continue to grow in 2013 provided they have the support they need. We will start to see them driving the trends and offering adventurous options not found anywhere else. How about a truck that flips its menu – and perhaps its chef – monthly to act as a food-trend-incubator? There are dozens of ways to make it and hundreds of ways to flavour it. The dessert wars are doing a back flip as cake is replaced by ice cream. Frozen Yogurt: We have seen, only in the past few months, a Fro-yo explosion. Frozen yoghurt has always been popular in the US but about six or seven years ago it went specialty, with tangy custards and fresh twisted toppings making people think it was the ‘healthy’ option. The current trend in Sydney appears to be a bit more inspired by Asian brands and flavours than US ones, and it will be interesting to see where it heads once the OMG-green-tea-fro-yo-with-mochi ‘new buzz’ ends. Boutique Ice Cream: No longer a simple choice of Vanilla, Chocolate or Strawberry, ice cream flavours have gone boutique. It started when US brand Ben & Jerry launched in Australia a few years back and now specialty gelatos – lead by the likes of Gelato Messina and N2 Extreme Gelato – are achieving cult status and driving unbelievable repeat business with superior products and crazy menu variations. Supermarket brands are jumping on the band wagon to compete against the imports and independents, and while their reach is greater they will have a tough time keeping up with nimble store-fronts in big cities. Prediction: Gelato has quietly risen to take over as the next big dessert craze – there, I said it. And in a lovely – slightly ironic – twist, is using cupcakes and macarons as toppings and mix-ins. Watch for diversification into things like ice cream sandwiches and tasting flights. Popsicles, while not big-bang, will continue to show up at festivals and markets but won’t go much further. Fro-yo will stick around for most of 2013 – how much longer depends on how mainstream they can go. 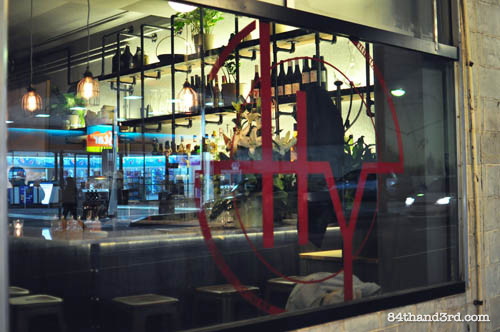 As a category, South American food is on a meteoric rise. Carnivorous Brazilian and Argentinean BBQs are old – albeit delicious – news, but new fresh flavours and twisted fusions are set to take over. So which tangent will be the biggest? 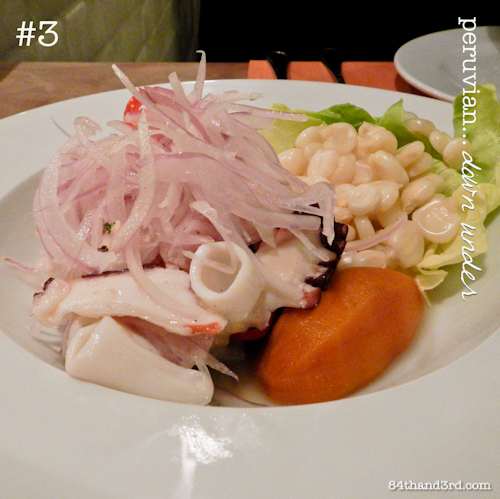 Peruvian: Peruvian food has been on the radar of foodies for the past 18 months. Inspired by abundant seafood, hundreds of kinds of native potatoes, spicy heat and fresh flavours, it is the perfect fit with the Sydney climate. 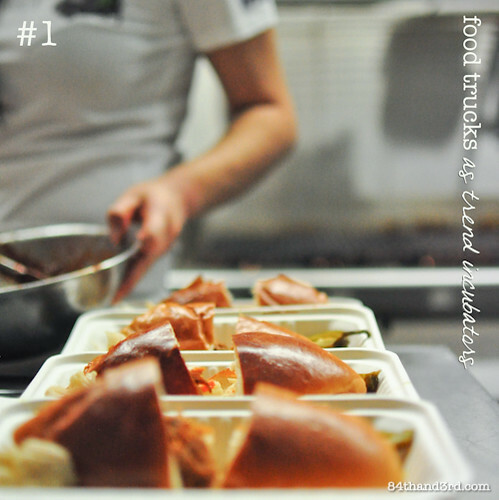 A few places are embracing it but now we just need an inspired chef – or a new Food Truck (see what I did there?) to drive the trend to the masses. Mexican: I will explode if I hear one more person say 2013 is the year of Mexican. Mexican started to spread back in 2011 (or was it ’10) when expat Americans launched Guzman y Gomez and Mad Mex and gave people a fresh lunch alternative to $12 sandwiches and gluey sushi. Yes, we are seeing a flood of upscale Mexican restaurants opening but is it new? No. Prediction: 2013 will be the year for Peruvian cuisine. Ceviche will abound but may be left to restaurants and their sashimi grade fish, however the principals of citrus and chili in something other than Asian cuisine will make it into home kitchens sooner than you think. We will see Mexican food continue to flourish but it will need to pull inspiration from a wider South American menu to stay relevant – and so that it does not fall into a greasy dude food hole. Both Pisco Sours and Margaritas made with Aussie fruits like mango and passionfruit will be out in force by next summer. Enough of a different trend to warrant a separation from the general South American food theme, this cultural mash-up is not a new invention. Chifa – a Chinese Peruvian cuisine – has been around for centuries and Brazilian Japanese [from the likes of Sushi Samba in the US and UK] has been churning out twisted combinations for years. But what’s on fire right now is Korean Mexican. 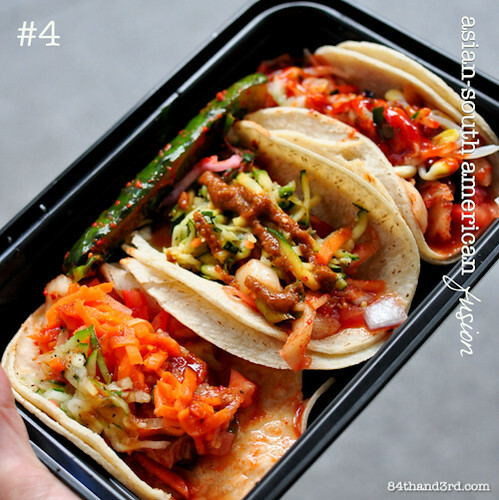 Think Tacos with Kimchi, Bibimbop Burritos and Fajita Hot Pots. Santa Barbara is dipping a toe in the water by the nature of its eclectic menu, but no one is doing it with a pure focus yet. Prediction: Everyone is preaching Korean and Mexican separately but the fusion of the two is so much more than the sum of its parts. Food Trucks – I’m looking at you again! Will it make it to our plates in 2013? I’m not sure if anyone is prepared to go all the way, but they should be – everything tastes better wrapped in a corn tortilla and topped with kimchi. Not a new trend but one that is picking up speed, and fast. Consumers are standing up against the big duopoly supermarkets, supporting farmers and artisan producers. They want to know where their food comes from and are starting to understand that food is less expensive when it is in season and comes direct from those who make it. 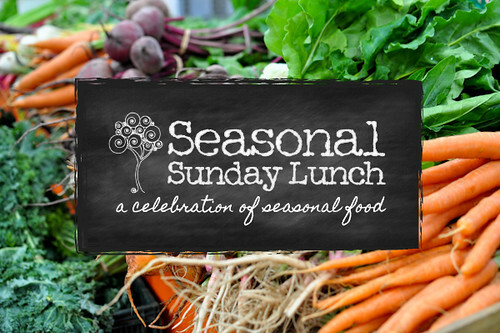 Restaurants and homes are operating off kitchen gardens, nose to tail philosophies are being embraced, and farmers markets are expanding exponentially. Prediction: New avenues will emerge for small business to grow without having to drop prices and vie for shelf space between multi-national conglomerates. Consumers will continue to return to mid-century seasonal eating habits and eschew excess packaging and over-processed nutritionally-void food. 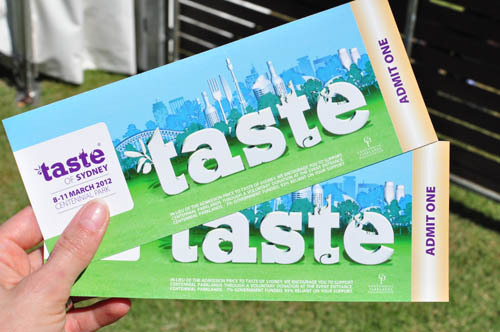 So there you have it, my predictions for Sydney food in 2013! Frozen treats, crazy twisted fusions of cultures and a return to the habits of our grandparents – all incubated via Food Trucks. I’m looking forward to 2013 but I may need to buy some bigger pants. So what do you think, what’s happening where you live, and are you excited about the direction of food in the next 12 months? ooh food bikes, nice one! Have just joined your email readers’ group and absolutely love the post! Lived in Sydney for decades ere wandering up and down the E Seaboard and now living some 100 kms south . 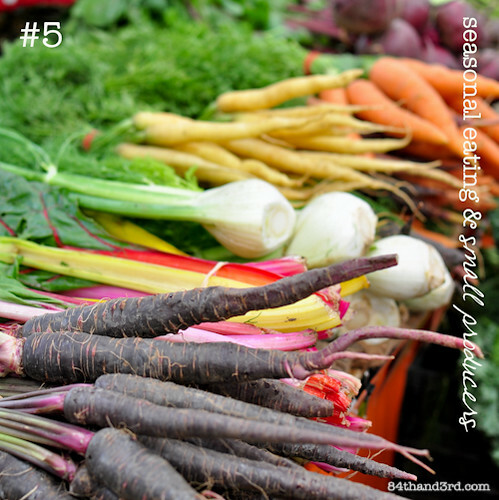 . . love some of your predictions, but especially the one about seasonal and small producers 🙂 ! Hope I may share with local foodie friends!!! Good to have you here Eha, thanks for subscribing! Great predictions JJ – I agree completely! 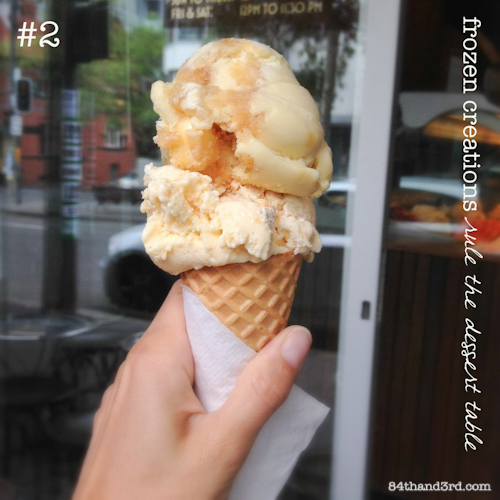 Loving the ice-cream trend because I cant seem to stop dreaming about ice-cream combos to try at home! This was a fantastic read. thanks JJ! love this review (and strangely this makes me miss work!) I’m pretty happy about these trends, especially south American and frozen. superb! I definitely agree with the frozen desserts prediction 🙂 and yes, this was a great read, I shall be excited to see more food trucks come into play! 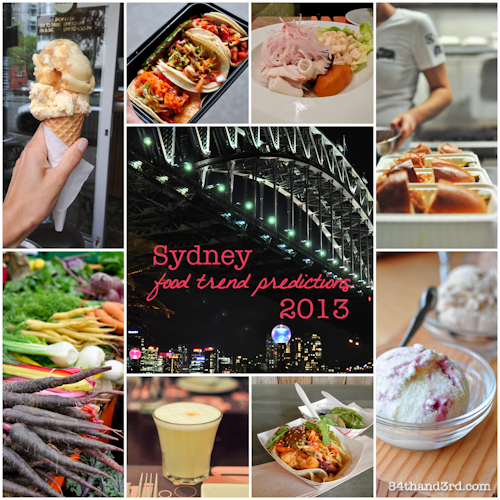 Great predictions, I’d really like to see more street food around Sydney! Fingers crossed your predictions are right. Though I am so over froyo already, quite happy if that has reached its peak. I hope you’re right about the rise of small businesses. That is one trend I’m happy to jump on to! I’m feelin’ this allll over. Frozen dairy treats have, in my opinion, exploded into the ‘fad’ realm; there are some amazing places but I have a feeling a few froyo establishments won’t last too long into the new year. I DO hope more food trucks are introduced, it’s been a great for Sydney’s non-existant “street food” scene and your idea of a little rotation system sounds fantastic. All in all though I’ve always said Sydney is a city based too far around trends; it’s either in or it isn’t. I hope a few things like you’ve mentioned, especially the rise of small producers, stick around for a long, long time. ALSO. I’ll be super happy to see the back of the Mexican trend of 2012! !